With a 1” nominal thickness, the 5/4 option provides more depth and allows greater detail in a wide range of styles from heavily ornate to bold and substantial. 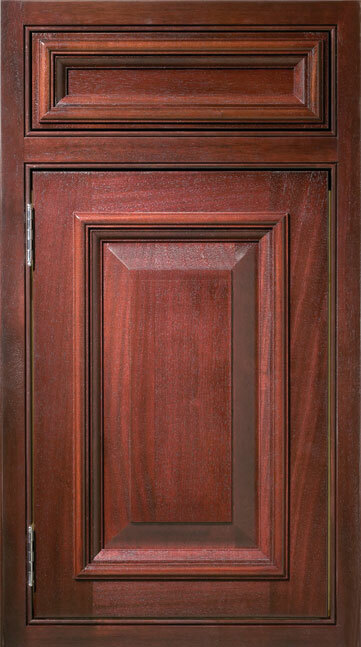 Door styles include Danforth, Seabrook, Chelsea, Oxboro, Chateaux, Laurent, Boothbay, Tenbrook, Gourdon, Verona, Barstow and Pacifica. Available in Full Overlay, Flush Inset and Beaded Inset. American Black Walnut boasts a beautiful straight grain, lavish figure variation, and resplendent color. The rich, lustrous patina it develops over time that makes Walnut a desirable choice for fine furniture and musical instruments make it an equally popular choice for exquisite cabinetry. 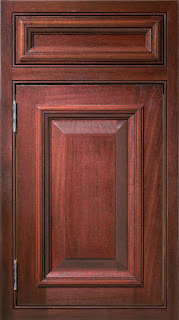 Woodharbor is also introducing NEW decorative hinges for 5/4 Flush and Beaded Inset. These solid brass hinges are mortised into the cabinet frame and are available in architectural finish codes with a choice of Ball or Minaret finials. Polish nickel ball catches add to the more refined look of 5/4. Visit http://www.woodharbor.com/ to learn more.